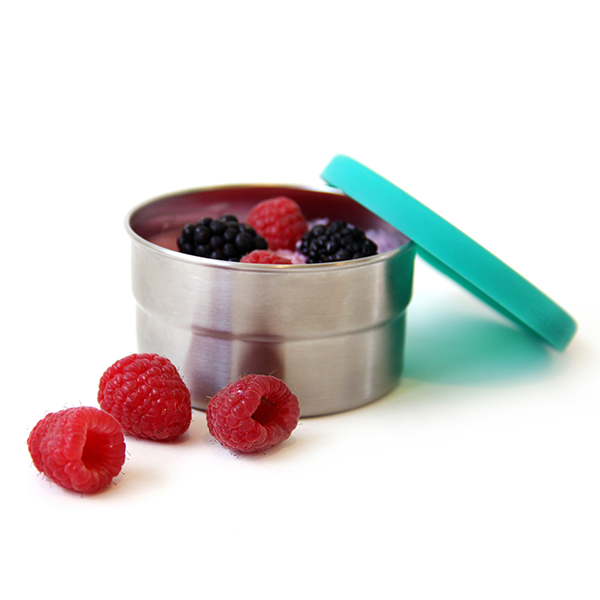 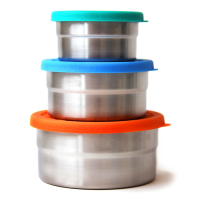 ECOlunchbox’s Seal Cup Solo is a versatile round stainless steel food container with a no-leak, silicone lid that's great for yogurt and dips. 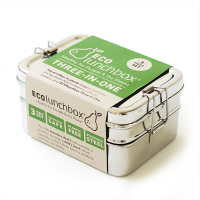 It's part of the ECOlunchbox Blue Water Bento collection featuring non-toxic stainless steel and silicone lunchware that's leak-proof and 100% plastic-free. 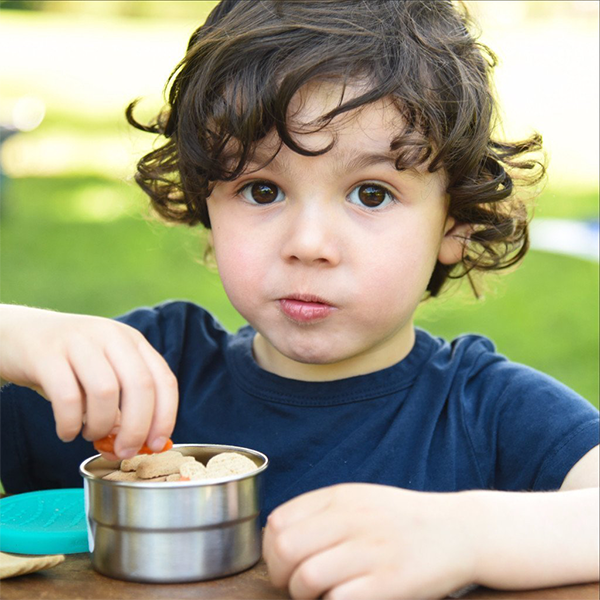 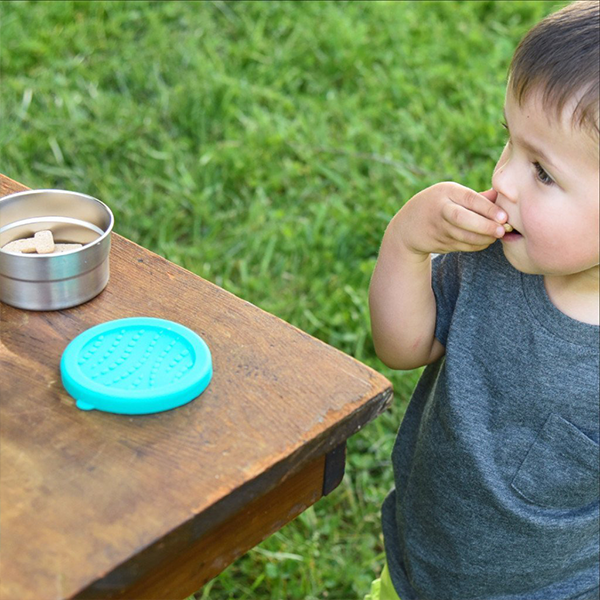 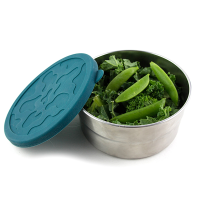 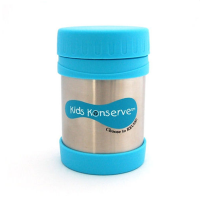 Practical and easy to use, the lid has a tab for easy opening by little hands and the bottoms stack away neatly inside each other after use for compact storage. 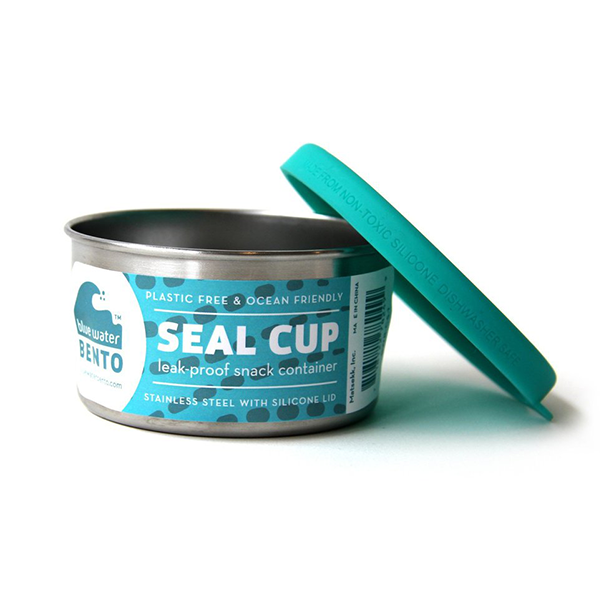 Seal Cup Solo is the smallest cup in the three-piece Seal Cup Trio set. 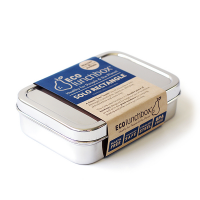 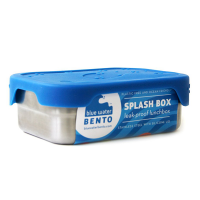 ECOlunchbox Blue Water Bento lunch containers are designed FOR the ocean and BY the ocean. 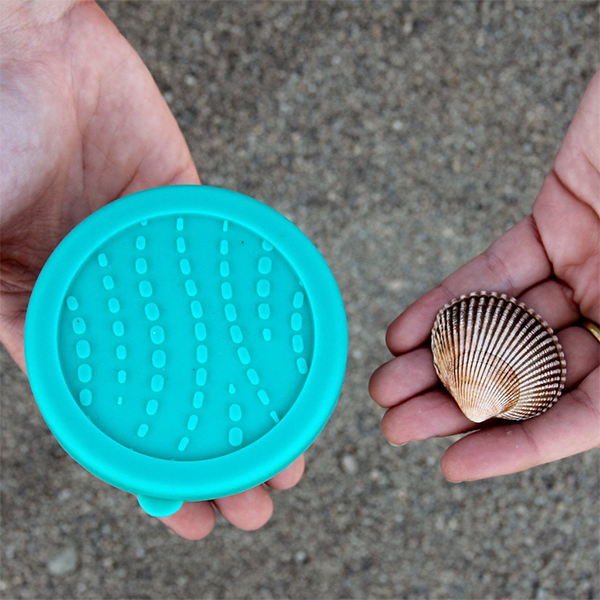 The beauty of the nubby ridges found on seashells inspired the design on the Seal Cup Solo's teal silicone lid. 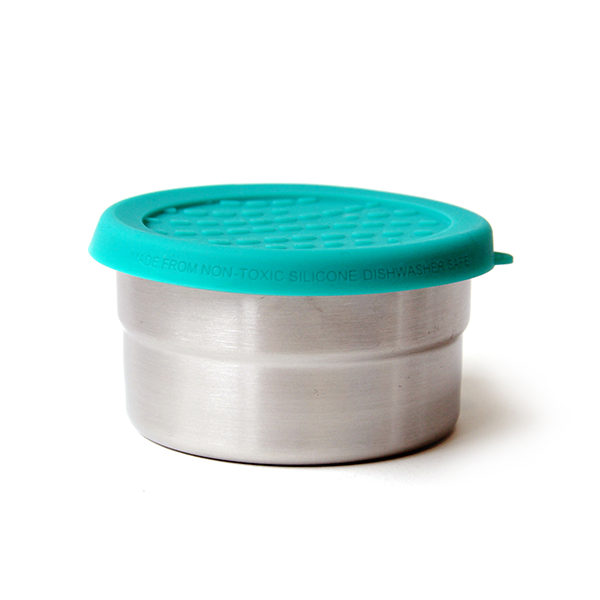 Measures 9cm (3 1/2") diameter x 4.75cm (1 7/8") tall.